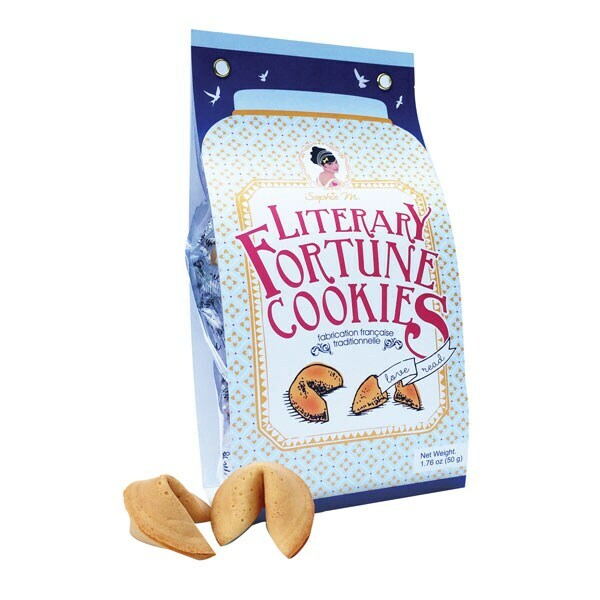 Baked in France, Bas Bleu's exclusive Literary Fortune Cookies are both exceptionally delicious and delightfully bookish! You see, inside of each yummy little biscuit, you'll find a pithy quote by a famous author (see examples above), offering life advice or clever counsel. Individually wrapped, the ten tasty treats make cute little favors at book club meetings, fun conversation starters at social gatherings, one-of-a-kind stocking stuffers, and stimulating after-dinner fare. How quirkily clever! Buy 2 or more for just $3.98 each!